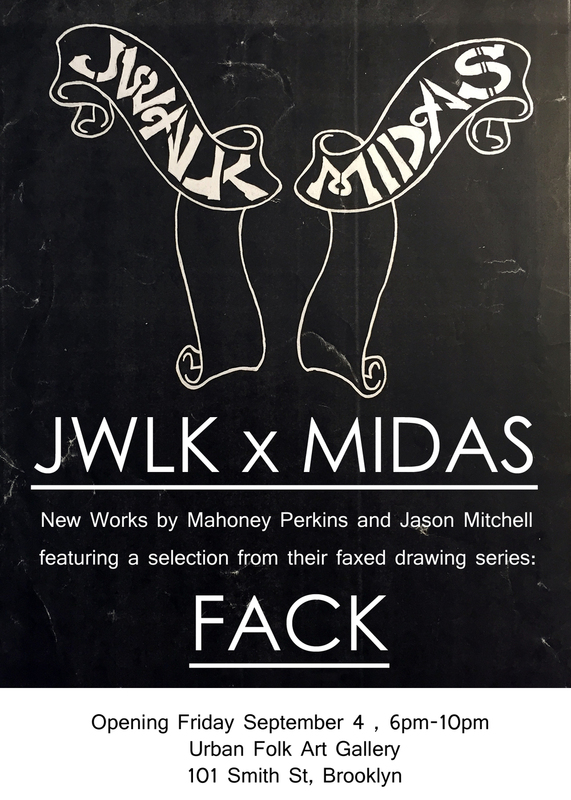 This is a two person show with Mahoney Perkins and Jason Mitchell running thru September at UFA gallery. We both showed new pieces created in 2015. 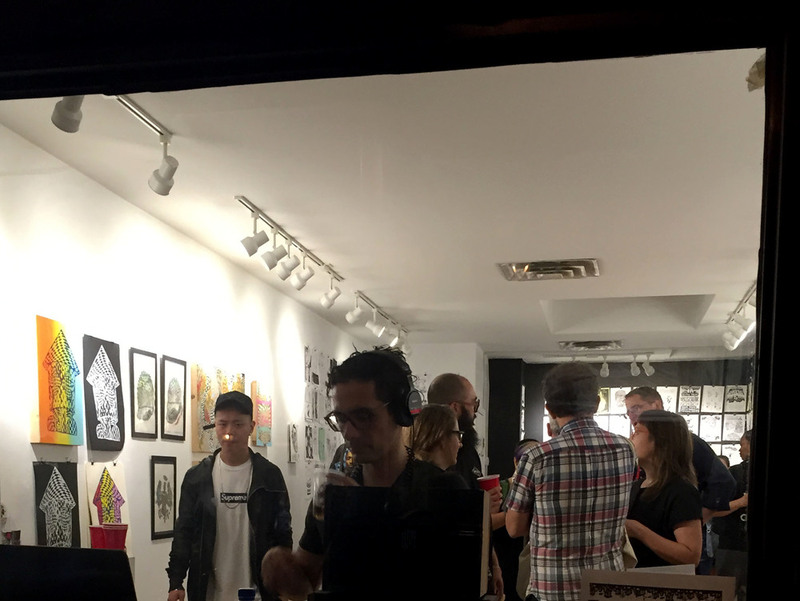 The show contained paintings, drawings, prints, t-shirts, stickers, pins and a zine. FACK= Jason and I are both contributors to the Urban Folk Art collective which goes back to late 80's when we all met at RISD. We constantly drew in sketchbooks. As we had different day jobs and were running the UFA studio on the side, we would send sketchbook drawings via fax during the day. This turned into a long running collaboration. The earliest examples are from the mid 90's. Recently we ended the practice of faxing drawings because fax machines are no longer available to us. 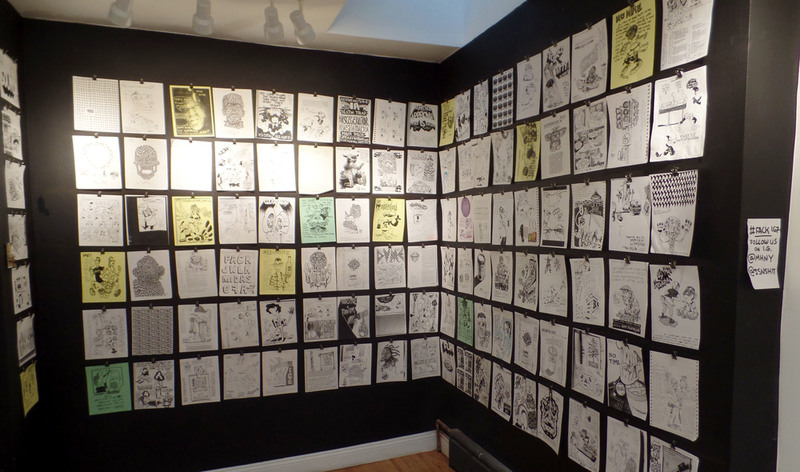 The drawing series spanned 17 years-ish and our combined 'fack file' is near 5000 entries. We showed 167 (#fack167) selections from the fack file at this show. 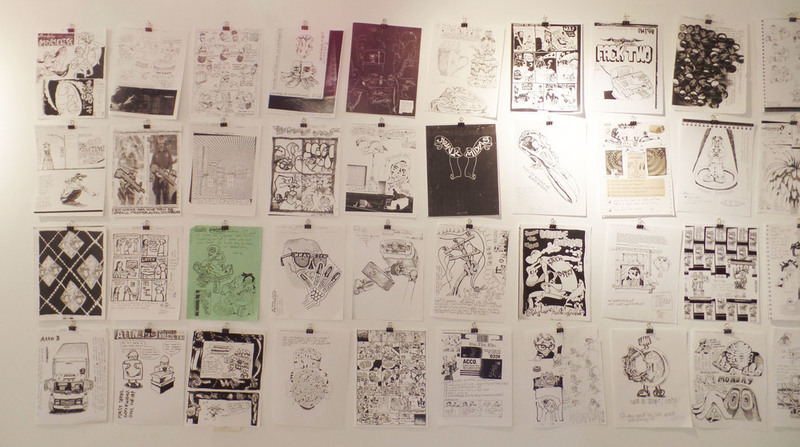 We made a zine of 24 picks from the show.